These pants are made of smooth and good porous yoga plus material. Moreover, they are lightweight with only 0.44(lb). We used moisture management, which makes them breathable. They have more advantages such as fitting your legs better and not easy to deformation. 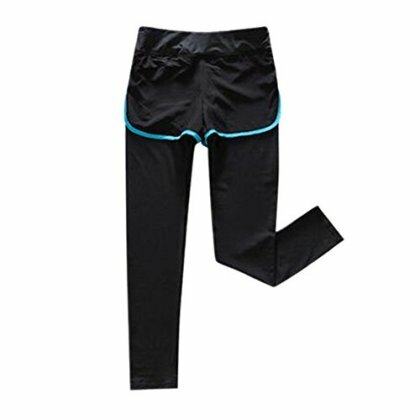 The design of widening elastic cord of the waist, brings you a comfortable and loose feeling. Fashion splicing colors will make you a shot on street. These pants are of splicing colors and edge covering procedure, simple and stylish. The layout of drawstring inside the waist of pants, make it easier to adjust the size.